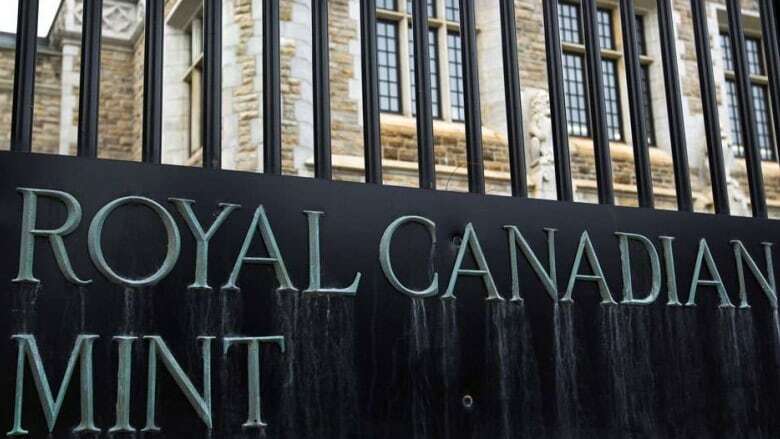 The Royal Canadian Mint is cutting 45 jobs in its Ottawa shop due to lack of collectable coin projects, the Crown corporation says. After nearly a decade of large-scale collectible coin projects — including projects celebrating the 2010 Olympic games and the Canada 150 celebration — there are no similar projects on the horizon. The job cuts were necessary to ensure the sustainability of the Crown corporation's collectable coin division, said Mint spokesperson Alison Crawford. "Canadians and the government expect the Mint to focus on long-term performance and productivity and that includes having a structure that adjusts to changing market demands," Crawford said. Overall, 45 positions are being eliminated but the Mint is offering incentive packages for 10 workers nearing retirement, according to Crawford. Of the 35 workers being laid off, 24 are union members. The decision to lay off the workers was made following an internal review of the Mint's profitability which was completed in the fall of 2018, Crawford said. But the Government Services Union (GSU), which represents the 24 union workers, said it was told about the layoffs just two weeks ago. GSU National President Randy Howard said that had the union been told sooner, it could have worked with the Mint to find an alternative solution. "If there was another way of making the Mint more profitable, we would have liked management to consult with us," he said. The Mint is offering to help with transitional support for the 35 workers, Crawford said. The Mint has roughly 800 employees at its Ottawa location and 100 in Winnipeg. No employees in Winnipeg were laid off.